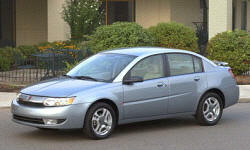 Why the 2004 Saturn ION? Why Not the 2004 Saturn ION? This is the 1st yr. the ION was made (usually not the best yr. to buy). The seat material is has a very cheap feel. The dash reminds me of a snap together toy car. 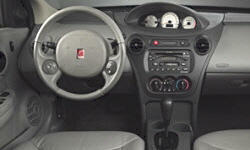 Consumer reports even rated the car poor as far as interior asthetics and workmanship. The ignition switch went out at 33,000!! (SERIOUSLY?) Trunk release at 36k (not a fuse issue) At 29k radio would stick and no functions would work (had it fixed several times still having issues at 62k. Wheel bearings and struts out at 52k. Seats are hard and offer little to no support for back or legs. Especially uncomfortable on long car trips. At 24, I should not be haveing back support issues. I have driven long distances in other cars before, not nearly as uncomfortable as the ION. Reminds me of a space ship. Steering wheel is exceptionally smaller than others. I sometimes feel as though I am driving a go-kart. I hate the center instrument panel. Random. Everything just looks cheap. I hear the fuel economy has improved; however, the 2004 is poor. Roughly 21 city 26 hwy. I realize that is decent; however, compaired to other inline 4 small, sedans (that are plastic!) it ranks very low.